← Bottlecap crochet was a thing? How did I miss that? 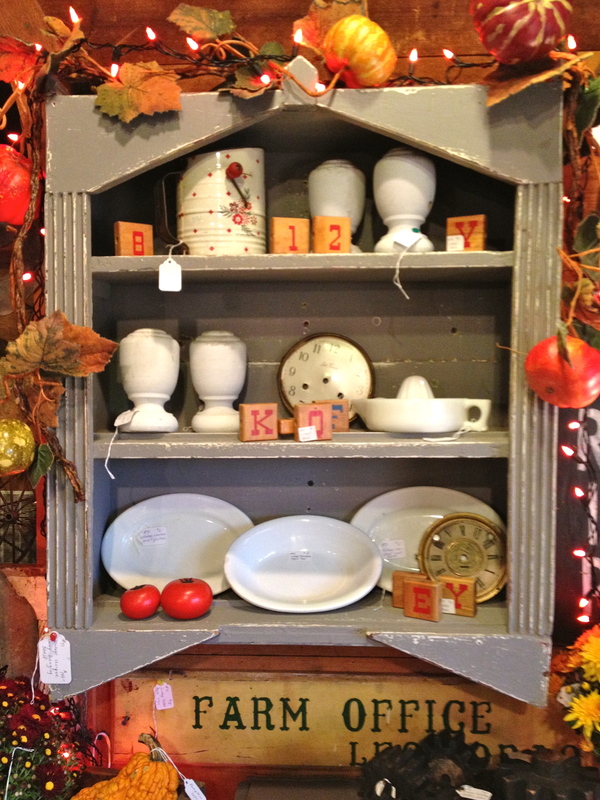 I probably wouldn’t have thought to put out a wicker table for a fall show, but the yellow is a great foil for the toothy grins of the vintage jack-o-lantern buckets, isn’t it? 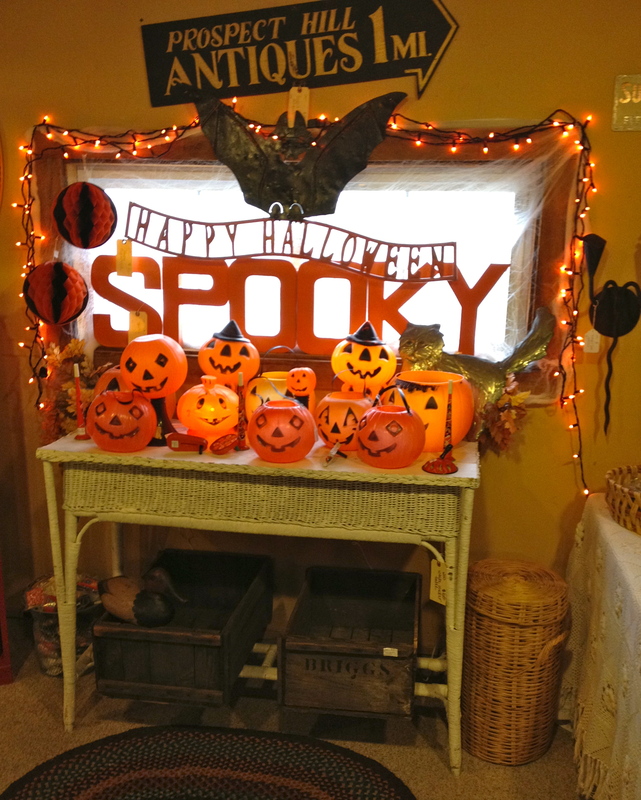 There was spooky stuff galore for Halloween decorating. 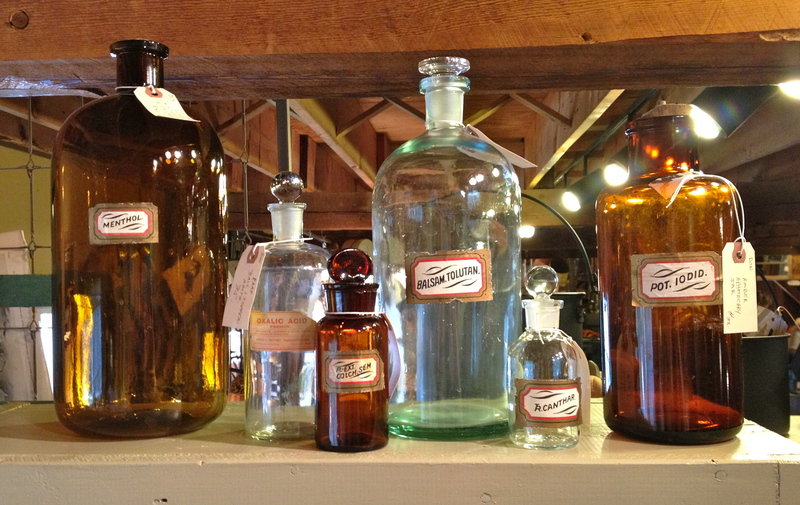 Several dealers featured vintage apothecary bottles—complete with original labels but minus the poisonous contents! 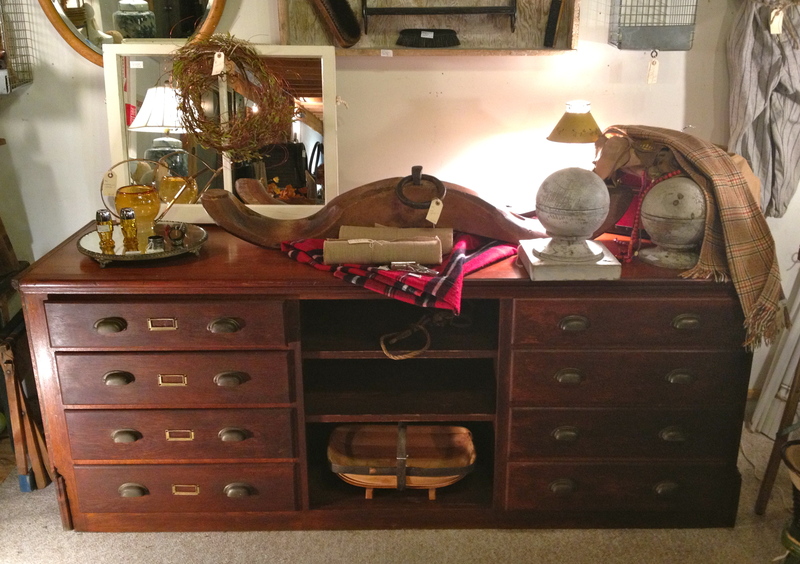 Old sewing notions counter? Hardware? Linens? Maybe even a sacristy cabinet from a decommissioned church? There were lots of pieces with drawers, including several huge and amazing apothecary cabinets. I couldn’t get good photos of them because it seemed there was always a customer or two standing smack in front trying out the drawers and figuring where o where they’d put them in their houses. 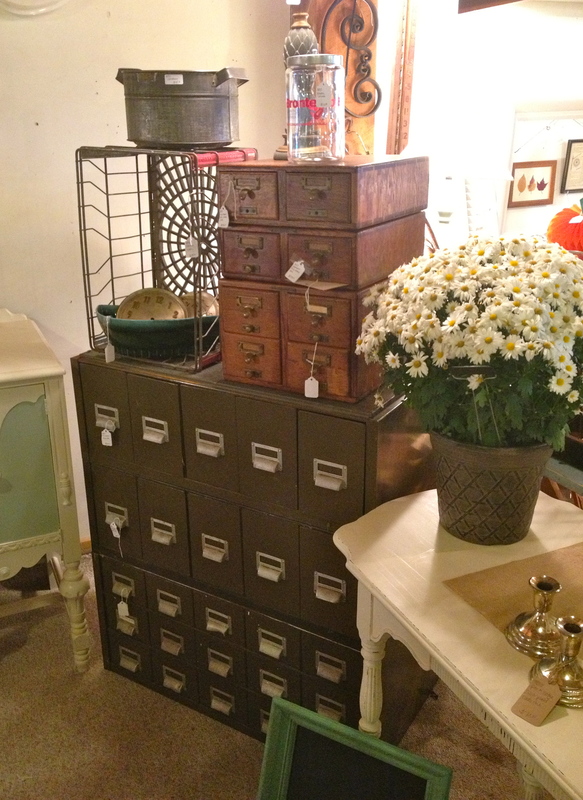 My very favorite cabinet of drawers, though, belonged to my booth-next-door neighbor. 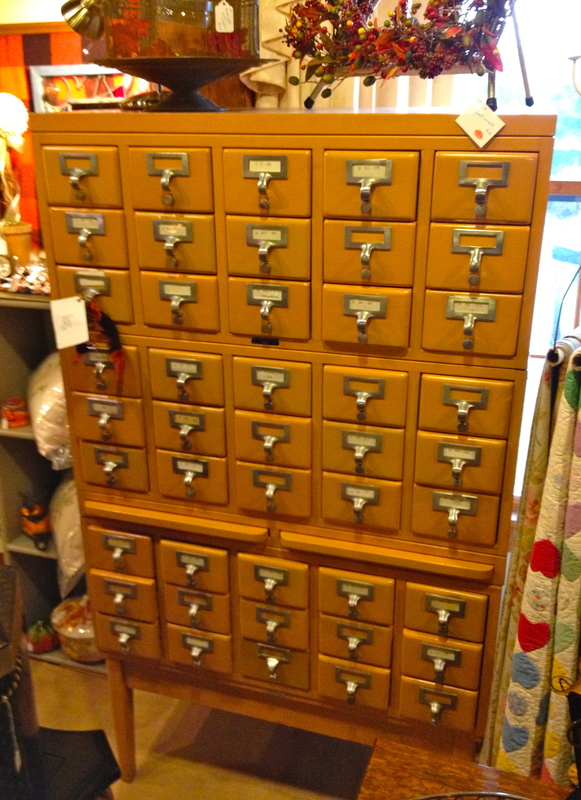 She showcased a three-stack of hardrock maple library card catalog drawers, complete with the brass pulls and the little pull-out shelves. I just love these. I don’t have a place to put one, but by golly I’m still going to carry that torch and you can’t stop me. 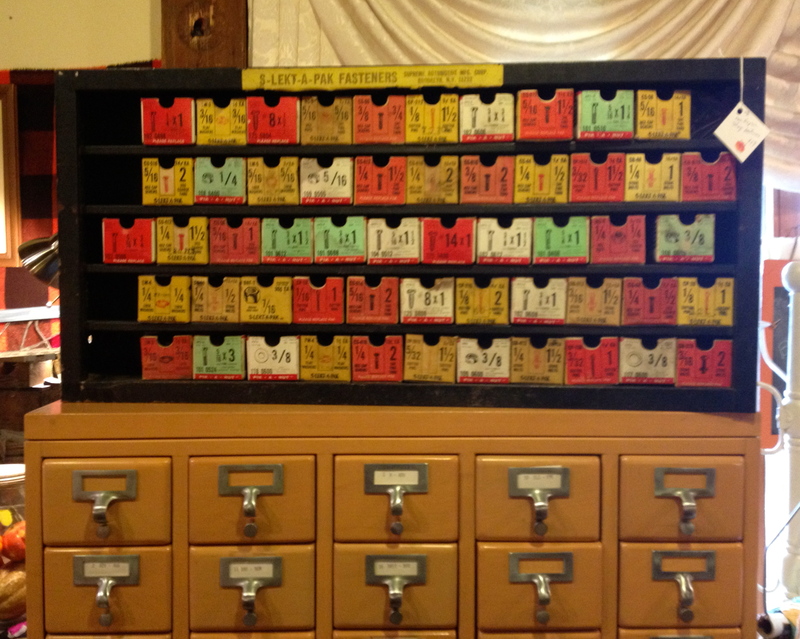 And then my neighbor kicked the color factor up a notch by loading this old parts drawer on top. 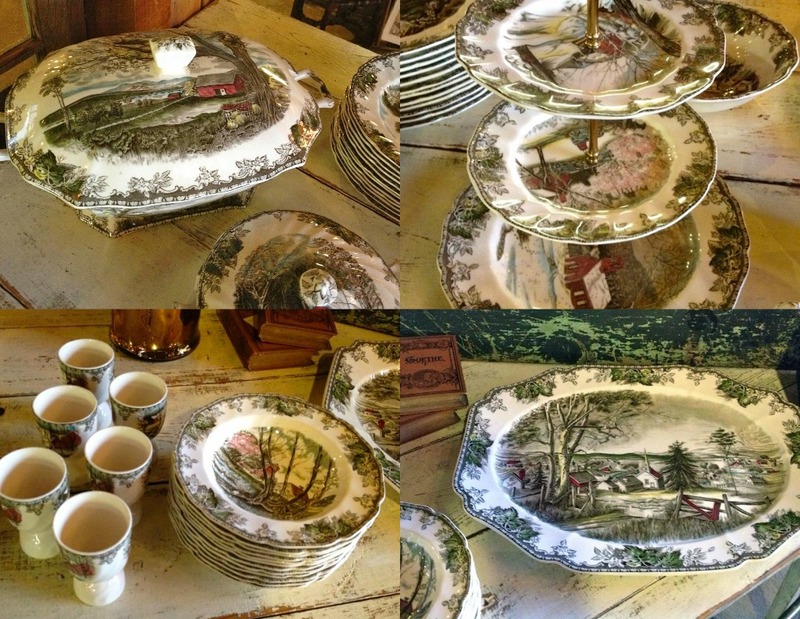 There was a huge set of Johnson Brother’s “Friendly Village” china, with all the hard-to-find pieces like the giant platter and the covered tureen. Not Pendleton, but still gorgeous! This is the perfect coat to wear for walking through the woods on a late autumn day. 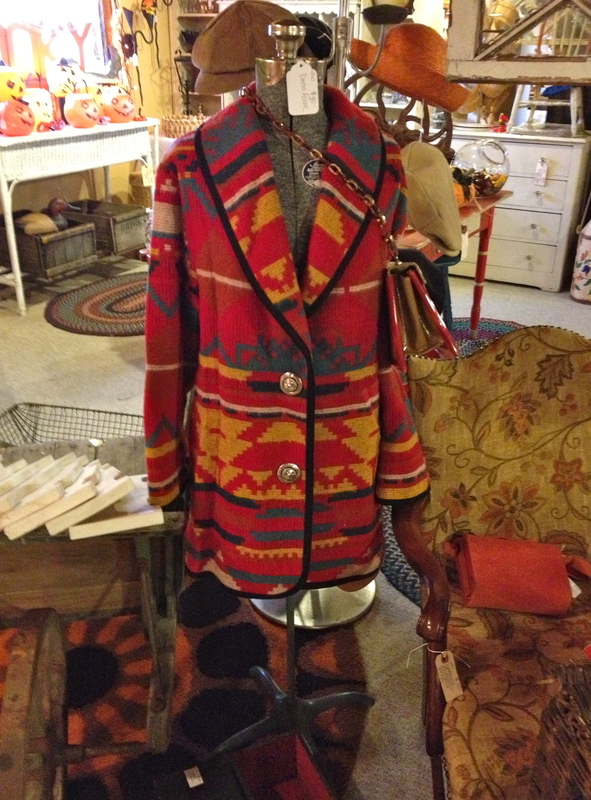 This lovely deep orange wool blanket coat was a size small—too tiny for me, alas. The woman who bought it wouldn’t let anyone carry it down to the checkout room for her. I think she didn’t want to let it go! 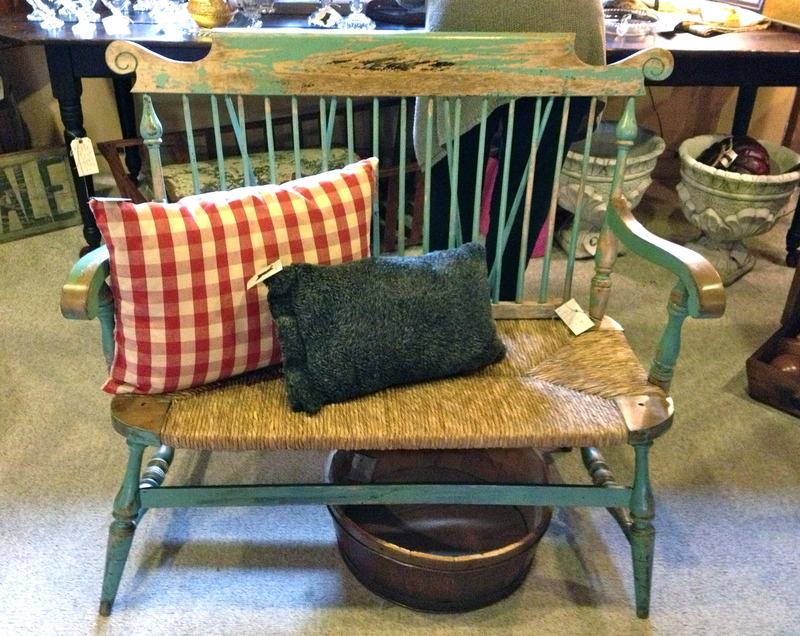 I saw something I fell in love with at a local antique mall I think you would also appreciate. Not sure how to attach pictures but would love to share it here. Hi there! Our comboxes aren’t set up to post photos, but you can certainly email it to us by clicking the “Contact” tab at the top of the page to get our email address.